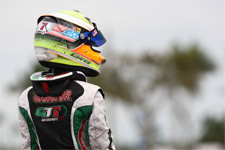 After earning his second US Rotax National title, GT7 Motorsports team driver Anthony Gangi Jr. is set to get back to national racing action this weekend. 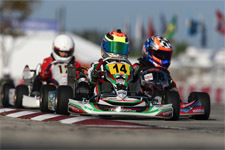 Taking on the finale event of the 2012 World Karting Association (WKA) Manufacturer's Cup schedule at the New Castle Motorsports Park in New Castle, Indiana, Gangi Jr. is set compete against drivers at the national level in the challenging Cadet Junior Sportsman class. Recently taking on the warm-up event to the Man Cup series, Gangi Jr. and his GT7 Motorsports crew would head to New Castle at the beginning of the month for the final rounds of the Great Lake Sprint Series (GLSS). 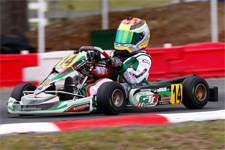 Contesting the same class over the weekend, Gangi Jr. would find himself tenth on the time sheets in Saturday's Cadet Junior Sportsman 1 qualifying. Working up to as high as seventh in the eight-lap prefinal, the Brookville, New York resident would retire with only one lap to go, and be forced to start the final from the back of the pack. Showing his true grit and determination, Gangi Jr. recovered in the final to post a solid sixth place result. 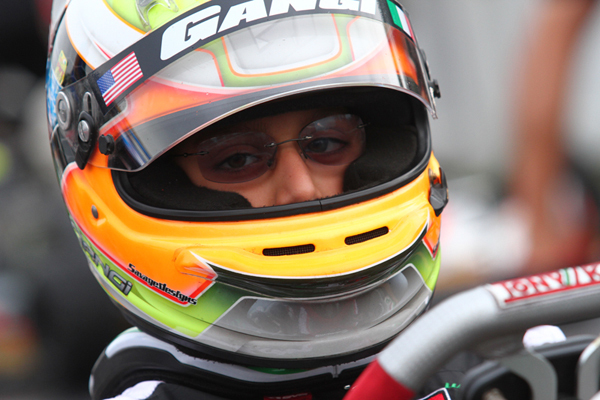 Back on track Sunday for Cadet Junior Sportsman 2 action, Gangi Jr. would better his qualifying run to place fifth on the time sheets and post fifth in the prefinal race. 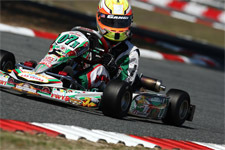 Looking to better his previous day's final result, Gangi Jr. would move up in the top-five with his fourth place finish. 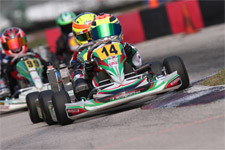 Classified seventh in the overall GLSS championship in Cadet Junior Sportsman 1, with an average finish of 4.75, Gangi Jr. would post the sixth place in the 2012 points for Cadet Junior Sportsman 2, with an average finish of 4.00. 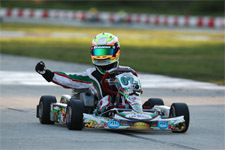 Now turning his focus to the WKA national scene at the same one mile course, Gangi Jr. will look to continue his momentum from earning his second United States Rotax Grand National title to stand atop the WKA podium in New Castle. Gangi Jr. will arrive in New Castle today, and then hit the track Friday, September 14 for official practice followed by two complete race days Saturday and Sunday. Gangi Jr. runs with the support of Chris Perez, his tuner and driver coach, as well as his sponsors Millwork Solutions Inc., PKT Axles, Holeshot Drive Systems and GT7 Motorsports.